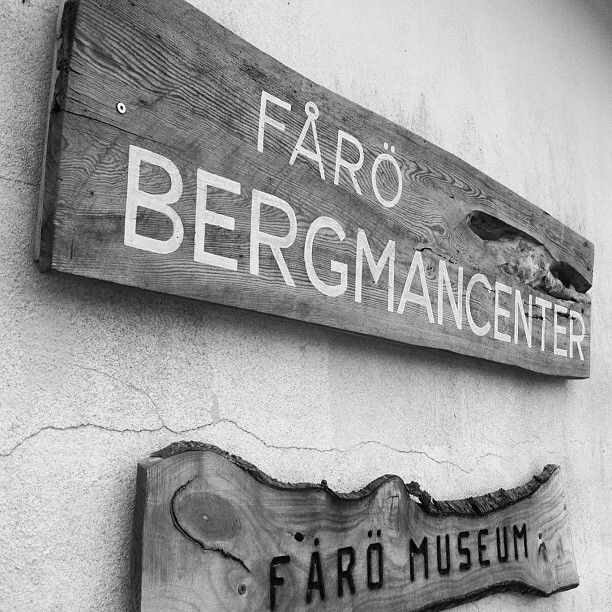 The Ingmar Bergman Center on the island of Fårö is about as far away as you can get from being a conveniently located tourist attraction, but it was worth the trip. Helena and I rented a car in Visby where we were staying and made the drive up to Fårö which is only accessible from Gotland by boat or ferry. The museum is small and intimate. They have a heartwarming collection of items from Bergman films, some person effects and many truly spectacular photos from film shoots on the island.